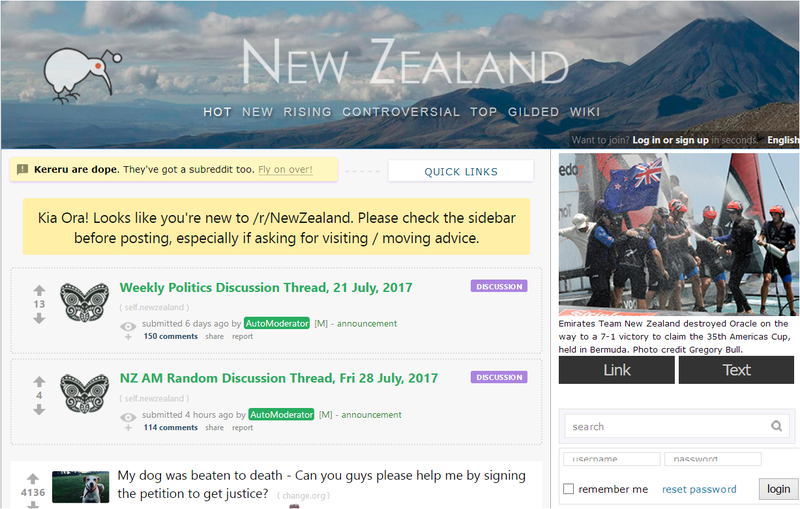 E2NZ.org is creating a private discussion area for our longer term members who’ve supported the site. If you’d like to be included please leave your contact email at the bottom of this page, or send us a private message on Twitter. Update: The private discussion area is now open. Please check your emails for the invitation. If your account was approved and you can no longer get access its because your IP address is different to the range you normally use. Please leave a message if this has happened to you. I am most interested in joining the ‘long term members’ discussion group. After spending most of my life in New Zealand I migrated to the UK 18 years ago and have never been happier. I still occasionally return to NZ to see family and I agree entirely (and commiserate) with the observations made on your excellent site. The sad thing is that much of the present hype and PR about NZ used to have a degree of truth but only perhaps 2-3 decades ago and for the vast majority living in NZ in recent times the quality of life across nearly aspect has deteriorated to an alarming extent. The trouble is that so many NZers are unable to see or accept this deterioration as it has often occurred piecemeal in their day-to-day life and they are unable to compare or see it from an external perspective.In addition to the many areas identified by your commentators (which I also well recognise) there are other areas where NZ fares badly in comparison with the UK and other countries. I have been a bit puzzled by many Kiwis who have said that 2016 was a bad year because of Brexit. Not getting into the pros and cons on that, but just interesting that from over here the event is viewed in the media as a right wing, anti liberal process. People are blind to the fact that NZ is probably already several steps to the right of the UK. There have been anti UK articles because the UK will most likely develop a closer trade relationship with the “evil” USA and have to accept chlorinated chickens. Then it turns out NZ’s own chickens are chlorinated. 1970s New Zealand (when I was coming of age) was certainly much more economically secure – and we did not have the massive social problems with which we are afflicted today. New Zealand society in 2017 is fragmented and divided – people are politically naïve and socially isolated (the sense of belonging to a group or community is gone) – and way too many kiwis are incredibly ignorant as to the workings of the wider world. To me the latter seems quite unbelievable (and scary) given the fact we are in the age of the internet and global media. I think many kiwis truly believe that all human life revolves around them and their ‘amazing’ little country – a country where in reality – standards, personal values, and life expectations either no longer exist – or can no longer be realised by a significant part of the population. Hi, I’m interested in joining the private discussion. E2nz. Not so long ago I wrote my post about living in the Middle East and terrified to return to New Zealand. 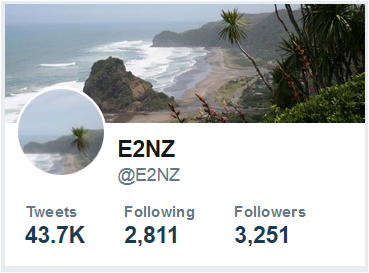 Remember the discussion about my newly retired British friend who found the criticism of New Zealand too challenging on this site. He is now dead as of a few days ago. He never got to enjoy his long awaited retirement. He opted for elective surgery at ChCh public hospital for the treatment of a heart murmur. The surgery was a trial technique that had only been performed around 60 times. The cardiologist bungled it and put a hole in his heart, and he hemorrhaged to death. Ironically he had worked as a lecturer at a teaching hospital, Dunedin, for much if his life. God bless your friend Mayadevi. That scares me alot. I have atrial fibrillation and was offered a heart ablation procedure at Christchurch hospital and declined because I didn’t trust them at all. I’m guessing the same could have happened to me or anyone else. The Cardiologist then said a few months later that actually he now didn’t think I needed it done at all. Thanks moron! Thank you Nebulafantastico. Yep I am devastated, as is his whole family. This wonderful man was my buffer against Kiwis, and now they have killed him. State sponsored murder I wonder? Thank God you followed your instincts. Now your lack of trust is fully confirmed. Hey admin, I just found out that the residency visa application fee has gone up from$1250 to $1950!!! A $700 hike! NZ’s record on medical stuff has been bad for a long time. It took over a decade for me to be diagnosed with Obstructive Sleep Apnea and more than half of that was sitting on a hospital waiting list for assessment. It was only because my partner (a radiographer) started beating on the surgeons because my snoring was keeping her awake that I was assessed at all.